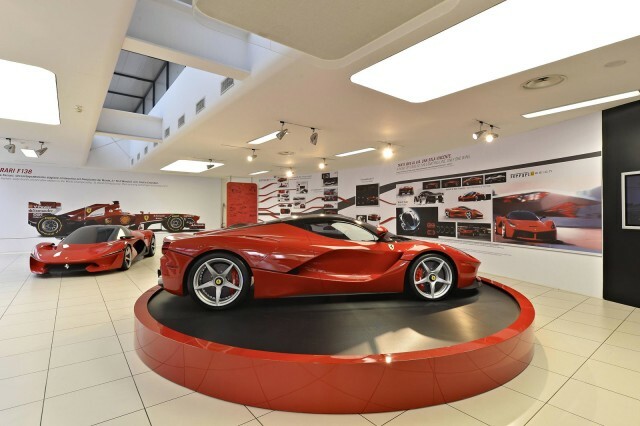 Located just outside of Bologna in the town of Maranello, Italy, the world-class brand and car maker Ferrari headquarters and museum is a must-see to any tourist traveling to the region. If visiting the area for business or pleasure, a trip to see the Ferrari museum is a must-do for any tourist or fan of sports cars. Mix the Ferrari museum in Maranello with four different local Italian food excursions and you are set to have one of the most memorable days of your life, truly experiencing two of the very best things Italian culture produces; great food and fast cars. Between the pleasures of the tantalizing tastes of Italy to the visiting the historic Ferrari museum, you truly can’t go wrong spending a day on one of these tours. Booking your tour to see the Ferrari museum on Musement.com is an incredible way to see the aforementioned sights. Today we will take a look at in detail just what these tours have to offer. After picking you up from a designated location (or your hotel) in Bologna, a professional driver will be your chauffer in a comfortable and air conditioned van. The day starts with three visits to local producers of some Italy’s most sought after cuisine; parmesan cheese, balsamic vinegar and last but certainly not least the delicious prosciutto. Each and every stop at the local, often family run factories of course includes not only viewing how the products are made and tour of the facilities by an expert guide, but also a tasting of all the foods as well. As is Italian tradition, no food tasting would be complete without the pairing of a locally produced Italian wine. Expect your visits to include a plethora of interesting information on the process of making these foods as they have for many centuries. After your facility visits and tastings, the van takes you over to see the Ferrari museum, located just a few hundred meters from the factory where they actually produce the cars! See with your own eyes the history of Ferrari dating back all the way to 1947 when the company was founded by Enzo Ferrari. From their racing history, to style that has evolved over the years, to technological innovation visits, Musement gives you just enough time to see the Ferrari museum which covers over 2,000 square feet. With an estimated 150,000 plus visitors each year, it will be easy to see what attracts so many tourists as you walk from room to room. Most of the exhibits display the most iconic cars Ferrari has produced over its history including everything from their newer 2000’s era models to the F1 cars they’ve produced for decades. Both are not only appealing aesthetically, but contain a motor engineering unrivaled by competition. Your tour can be as exclusive or inclusive as you please, with a max of 16 people allowed per tour. Tours are about 8 hours in total and available Monday, Wednesday and Friday starting at 8:00 AM. Children between the ages of 4-12 are booked at a reduced rate as with most tours in the region.